Directed by Roboshobo, “Crack the Sky” is the second of a trilogy of music videos from Berserker (the first clip being “Raven’s Flight”) – each one increasingly epic in its scope, further immersing the viewer in the world of Amon Amarth. Much like the songs on Berserker, the videos present Amon Amarthto its fullest. The cast features Josh Barnett as “the Berserker” (https://en.wikipedia.org/wiki/Josh_Barnett) and Erick Rowan as “Thor” (https://en.wikipedia.org/wiki/Erick_Rowan), among others. Comprising 12 monstrous heavy metal anthems that bulge with irresistible melodic hooks, bursts of thrilling savagery and moments of spine-tingling dynamic drama, Berserker is the result of the huge surge of creativity and a collective desire to keep moving forward with no compromise. From the disarming melodrama and explosive riffing of opener “Fafner’s Gold” and the brutish simplicity of the rampaging “Crack The Sky” to the epic fury of “Raven’s Flight” and the grim, gritty storytelling of “Ironside” and “Skoll and Hati”, Berserker is an album full of trademark Amon Amarth bluster and bite but with every aspect of the band’s sound somehow refined, sonically enhanced and made vastly more potent, both in terms of metal oomph and emotional power. Neatly summing up the spirit behind these exhilarating new songs is the album’s semi-title track, “The Berserker At Stamford Bridge”: a visceral but vivid historical tale, recounting the Vikings last stand against the English army in 1066 and the mind-bending heroics of one axe-wielding warrior. Showcasing an undeniable and startling upgrade for every aspect of Amon Amarth‘s iconic sound, Berserker was recorded in Los Angeles with renowned studio guru Jay Ruston (Anthrax/Stone Sour) manning the controls. After recording several rounds of professional demos for the new songs (initially with fellow Swedish metal icon Peter Tägtgren and then later with Ruston himself) the band crossed the Atlantic to make final the recordings in LA, eager to take a fresh approach to the album-making process. The cast for “Crack the Sky” also features Tess Kielhammer as “Demon Boss” (https://www.imdb.com/name/nm4178569/), Shanie Rusth as “Shield Maiden” (https://www.herexchange.net/her-story/2018/9/11/shanie-rusth), Erik Arevalo (https://www.instagram.com/theerikhammer/?hl=en), Victor Henry (https://www.sherdog.com/fighter/Victor-Henry-52195), and Canadian WWE legend Viktor as “Demon Henchman” (https://en.wikipedia.org/wiki/Viktor), and many more. In support of Berserker, Amon Amarth will head out on the road with Slayer, Lamb of God, and Cannibal Corpse in North America, starting May 2nd. See below for all dates! This September heavy metal overlords Amon Amarth will descend from the land of ice and snow to headline a history-making charge across North America with fellow Swedish warlords and carnage is on the menu. Directed by Roboshobo, “Raven’s Flight” will be the first of a trilogy of music videos from Berserker, each one increasingly epic in its scope, further immersing the viewer in the world of Amon Amarth. Much like the songs on Berserker, the videos present Amon Amarth to its fullest. The cast features Josh Barnett as “the Berserker” (https://en.wikipedia.org/wiki/Josh_Barnett) and Erick Rowan as “Thor” (https://en.wikipedia.org/wiki/Erick_Rowan), among others. Comprising 12 monstrous heavy metal anthems that bulge with irresistible melodic hooks, bursts of thrilling savagery and moments of spine-tingling dynamic drama, Berserker is the result of the huge surge of creativity and a collective desire to keep moving forward with no compromise. 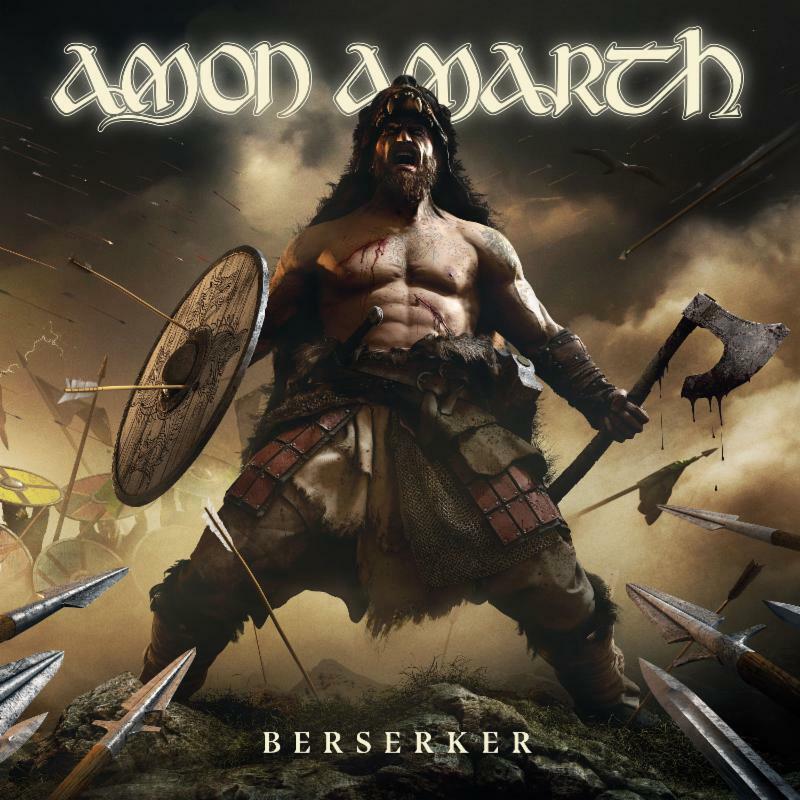 From the disarming melodrama and explosive riffing of opener “Fafner’s Gold” and the brutish simplicity of the rampaging “Crack The Sky” to the epic fury of “Raven’s Flight” and the grim, gritty storytelling of “Ironside” and “Skoll and Hati”, Berserker is an album full of trademark Amon Amarth bluster and bite but with every aspect of the band’s sound somehow refined, sonically enhanced and made vastly more potent, both in terms of metal oomph and emotional power. Neatly summing up the spirit behind these exhilarating new songs is the album’s semi-title track, “The Berserker At Stamford Bridge”: a visceral but vivid historical tale, recounting the Vikings last stand against the English army in 1066 and the mind-bending heroics of one axe-wielding warrior. The cast for “Raven’s Flight” also features Tess Kielhammer as “Demon Boss” (https://www.imdb.com/name/nm4178569/), Shanie Rusth as “Shield Maiden” (https://www.herexchange.net/her-story/2018/9/11/shanie-rusth), Erik Arevalo (https://www.instagram.com/theerikhammer/?hl=en), Victor Henry (https://www.sherdog.com/fighter/Victor-Henry-52195), and Canadian WWE legend Viktor as “Demon Henchman” (https://en.wikipedia.org/wiki/Viktor), and many more. Select a PostFilm Review: "Avengers: Endgame" Land-Based Casinos vs Online Casino … Bob Marley's "LEGEND" Turns 35 POWER TRIP Begins Tour With Red Dea … Sum 41 Announce Seventh Full-Length … Book Review: "For The Sake of Heavi … Win Passes to the Kansas City Scree … Win Passes to the Kansas City Scree … RLJE Films Acquires the Nicolas Cag … CD Review: Dead Kennedys "DK 40" Enter to Win a Blu-ray of "How To T … Full Moon Features Takes on Bold Ve … Film Review "The Man Who Killed Don … 4 Tips To Renting A Party Bus For A … Film Review: "Family" Film Review: "The Aftermath" Film Review: "Penguins" Amon Amarth launches video for new … Prog-rock Pioneers Crack the Sky To … Bunch O Balloons Party Balloons Is … Free Tickets to Advance Screenings … Tips On How To Stay Updated in Pop … Helpful Tips For Shooting A Movie� … Enjoy Pleasantries in the Video Gam … ﻿Enhance Your Creativity by Playi … Orlando Tickets Now On Sale for Jur … Orlando To Host Monster Jam World F … ﻿Seven Films To Watch Before You … ﻿How Technology has improved the … How to Choose the Right Console? Metal Mariachi Masters METALACHI An … Rocklahoma Announces Lineup Change Seven Date Night Movies that You B … How to Improve your Gaming Performa … How to Sell Video Games Online?﻿ Win a "Hellboy" Gift Pack Film Review: "The Haunting of Shar … 20th Annual Planet Comicon Kansas C … Film Review: "The Mustang" Jonas Brothers Released New Song, " … Film Review: How to Train Your Drag … Film Review: "Shazam!" Film Review: "The Wind" Enter to Win a Blu-ray of M. Night … Authors Darren Paltrowitz and D.X. … 4 Health benefits to using CBD Oil� … Gaming Techniques That Will Make Yo … Interview with Oscar Winner Richard … 3 Reasons why people use CBD Oil fo … Everything You Ever Wanted to Know … SWORN ENEMY UNVEILS MUSIC VIDEO “ … ANDY BLACK RELEASES “THE PROMISE� … LAMB OF GOD to Release "Ashes Of Th … Film Review: "Dumbo"
All logos and images used on this website are registered trademarks of their respective companies. All Rights Reserved. Some of the content presented on our sites has been provided by contributors, other unofficial websites or online news sources, and is the sole responsibility of the source from which it was obtained. MediaMikes.com is not liable for inaccuracies, errors, or omissions found herein. For removal of copyrighted images, trademarks, or other issues, Contact Us.